SACRAMENTO, Calif. (KGO) -- The search is still on this morning for two men accused of stabbing an American hero in Sacramento. Officials say Airman First Class Spencer Stone was stabbed three times in the torso while protecting a friend outside a bar early Thursday morning. 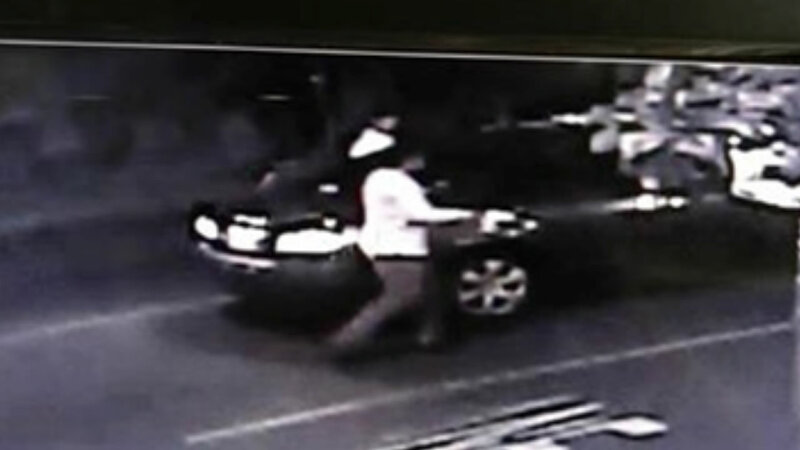 Surveillance video shows the fight and suspects leaving in a dark colored 2009 to 2012 Toyota Camry. 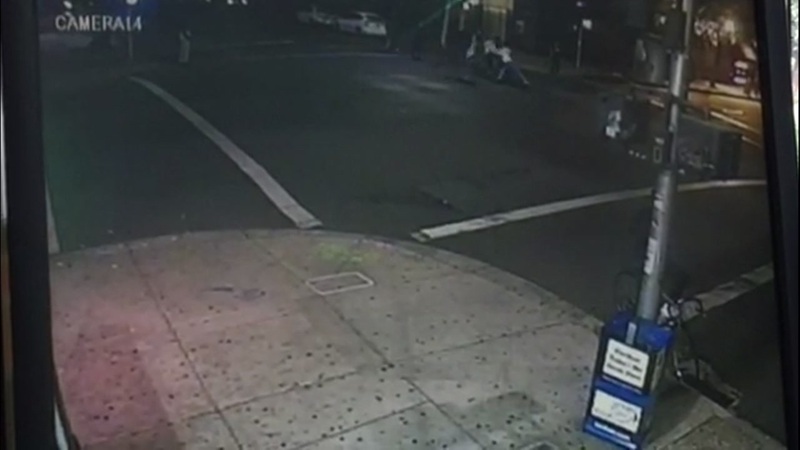 Security camera video taken from a nearby liquor store shows a group of about eight men involved in the fight in which Spencer Stone was injured in Sacramento, Calif., on Thursday, October 8, 2015. Hospital officials say Stone's injuries are serious, but he just got updated to fair condition and is expected to make a full recovery. 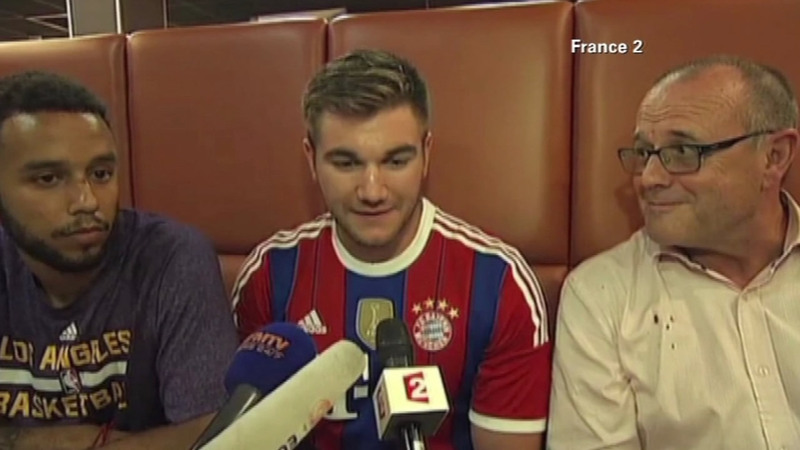 Stone became an international hero in late August when he, along with Alek Skarlatos and Anthony Sadler, tackled a gunman on a high-speed train from Belgium to Paris. "He leaves here a young man on an excursion to broaden his world view and to have fun with his buddies, and he comes back France's national hero," Tony Sadler said of his son, Anthony, one of the three American men.